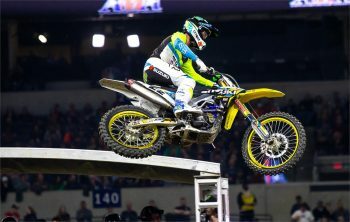 Australian supercross legend fights back to 11th position. Chad Reed has declared his charge from last to 11th in Indianapolis’ 11th round of the Monster Energy AMA Supercross Championship as one of his best main events of the 2019 season. Showing strong pace earlier in the day, the two-time champion clashed with a rider on lap one and went down, forcing him to comeback from 22nd position to just outside of the top 10. The JGRMX Yoshimura Suzuki Factory Racing rider has been left frustrated by his poor starts this year, vowing to turn them around as the season heads into the closing stages. “The goal was to put together a more complete weekend,” Reed stated. “I was competitive in qualifying practice and possibly rode my best main of the season. As a team we made great progress throughout the weekend. Unfortunately, I had a crash on the opening lap of the main event and I was charging back from 22nd place. 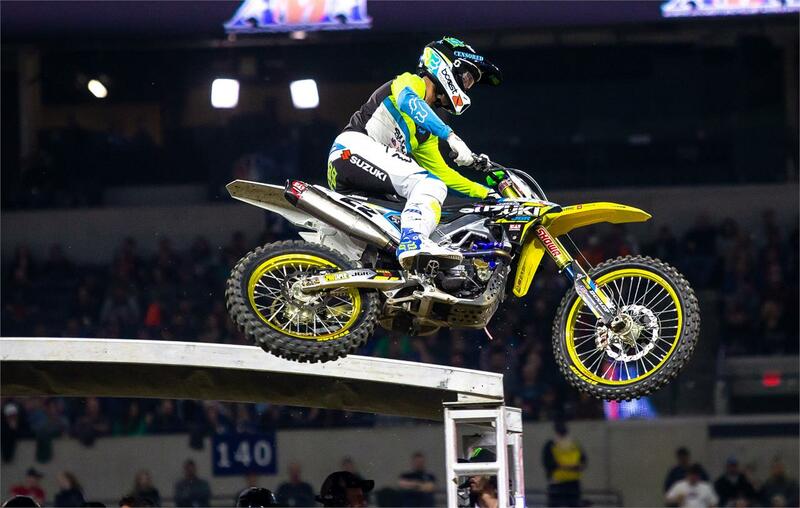 Reed, who scored a podium at Detroit’s eighth round, now sits seventh in the championship standings as the series heads to Seattle this weekend for round 12.